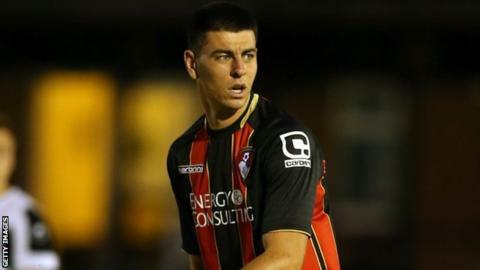 On-loan striker Joe Quigley scored his first Wrexham goal to rescue a point against Tranmere Rovers in the National League. Robbie Evans gave Wrexham the lead with a low strike from 25 yards before Lois Maynard equalised from close range. Tranmere went ahead after the break when former Wrexham striker Andy Mangan finished Ritchie Sutton's cross. But Quigley, on loan from Bournemouth, came on to slot home with eight minutes remaining to earn Wrexham a point. Wrexham manager Gary Mills told BBC Radio Wales: "We're going through a period where we have to fight a little bit. "We're sticking in there and fighting for the points we're getting. We're disappointed with the return we've got (two points from four games). "But you come through these periods and look to kick on and start winning football matches." Match ends, Wrexham 2, Tranmere Rovers 2. Second Half ends, Wrexham 2, Tranmere Rovers 2. Foul by Martin Riley (Tranmere Rovers). Joe Quigley (Wrexham) wins a free kick. Javan Vidal (Wrexham) is shown the yellow card for a bad foul. Substitution, Tranmere Rovers. Marlon Jackson replaces Andy Mangan. Goal! Wrexham 2, Tranmere Rovers 2. Joe Quigley (Wrexham) right footed shot from outside the box to the bottom right corner. Assisted by Connor Jennings with a cross. Offside, Wrexham. Joe Quigley tries a through ball, but Joe Quigley is caught offside. Attempt missed. Connor Jennings (Wrexham) right footed shot from outside the box misses to the left. Substitution, Wrexham. Jon Nolan replaces Adriano Moke. Substitution, Tranmere Rovers. James Norwood replaces Adam Dawson. Substitution, Tranmere Rovers. Steven Jennings replaces Jonathon Margetts. Offside, Tranmere Rovers. Jonathon Margetts tries a through ball, but Jonathon Margetts is caught offside. Substitution, Wrexham. Joe Quigley replaces Mark Carrington. Matthew Hill (Tranmere Rovers) is shown the yellow card for a bad foul. Goal! Wrexham 1, Tranmere Rovers 2. Andy Mangan (Tranmere Rovers) right footed shot from outside the box to the bottom right corner. Assisted by Adam Dawson with a cross. Attempt missed. Rob Evans (Wrexham) left footed shot from outside the box is too high.